Started to dance from early childhood. Since she became one of the members of Chizu Shoda Modern Dance Fragment in 1992, she involved in all of Ms Shoda's pieces. Dancing became a part of her life. She participated in dance unit "Dance G" and joined performances for five times, so far. 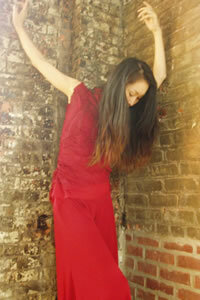 She was blessed with opportunities to perform as a guest dancer for many choreographers' works and such as performances (in total 40 pieces up to present) supported by Agency of Cultural Affairs, Tokyo Metropolitan Art Festival, organized by The National Theater Tokyo and individuals. She released many pieces of her own choreography. While work as a choreographer and dancer, she puts her effort to encourage juniors. She has been an instructor at Chizu Shoda modern dance studio, and a coach the Modern dance club at Yokohama National University since 1996. She has also presided"Dance Studio MIYA FRIENDS"with Naomi Miyamoto since 2000. She was selected as the art internship trainee of Agency of Cultural Affairs of Japan in 2000 and as a legitimate oversea artistic trainee of Agency of Cultural affairs of Japan in 2004, so she gained a career for two years in New York. She established"ZERO to INFINITY"in 2006. She will have the first independent performance as a part of DNA Presents in the fall of 2006 in New York. Contemporary Dance Association of Japan Award "New Figure"